Strategically placed on the global chess board, as well as controlling vast oil resources, the Middle East was one of the main theatres of Cold War. In the 1950s the Soviet Union had taken advantage of Arab Nationalists’ disillusion with British and French Imperialism, along with the emerging Arab-Israeli conflict, to establish relations with Egypt, Syria and Iraq. The United States responded by moving in to shore up the Western position. Confrontation was inevitable. Superpower Intervention in the Middle East was written in 1978, when this confrontation was at its height. The book’s main theme focuses on how the superpowers became competitively involved in local Middle East conflicts over which they could exercise only limited control, and the risks of nuclear confrontation of the kind which occurred at the end of the 1973 Arab-Israeli war. The threat to Western oil supplies is also examined. 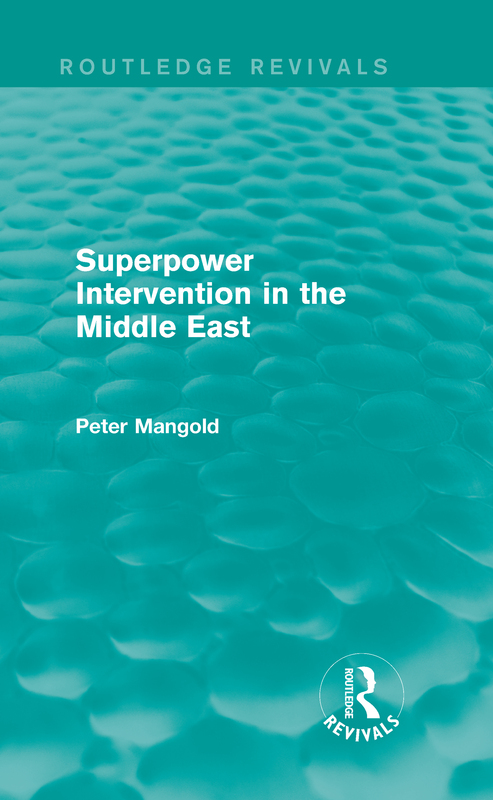 This is a fascinating work, of great relevance to scholars and students of Middle Eastern history and political diplomacy, as well as those with an interest in the relationship between the Western superpowers and this volatile region. Introduction; 1. The Importance of the Middle East 2. Military and Non-Military Actors 3. The Requisites of Military Policy 4. Oil and Force 5. The Gulf and the Arabian Peninsula 6. The Crises of Conservatism in the Eastern Mediterranean 7. Entangling Commitment: The Soviet Union and the Arab-Israeli Conflict 8. Israeli Security: The American Dilemma 9. The Risks of Superpower Confrontation 10. The Costs of Military Policy 11. Conclusions and Implications; Bibliography; Index.